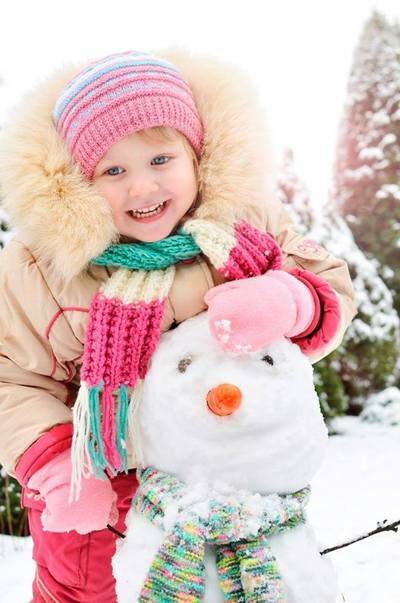 Hey parents, it's almost snow time, although you wouldn't know it with Melbourne's unseasonably mild autumn. The weather outside doesn't really need to be frightful for your kids to enjoy a Winter Wonderland at Wonderland Docklands (formerly Wonderland Fun Park). Even if you don't make it to the real snow this year, Docklands will host “It’s Snow Time!” this June; a special snow play attraction. Set up under the iconic Melbourne Star Observation Wheel, the recently refurbished Wonderland Docklands will delight the young and the young-at-heart, with a super fun extravaganza celebrating winter. An undercover snow zone will see 'real' snow fall over excited families, with snowman building activities and even mini snow mountains for your kids to zoom down. Dress as you would when you visit the real snow. Warm clothing is a must, and a spare set is recommended after your kids run amok in the frozen white stuff. It is here you can treat yourselves to some snow fairy floss, warm hot chocolate, popcorn and traditional carnival pretzels. Dodgem Cars. Ride tickets are available for purchase at the ticket booth or online. Why not finish off the adventure with a thrilling ride and stunning view of the city on the Melbourne Star. In another exclusive KidTown Melbourne promotion, we have 3 DOUBLE PASSES (1 child/1 adult) (valued at $36 per double pass) to giveaway to It's a Winter Wonderland with It's Snowtime - interactive snowplay for kids!. To enter, email kidtownmelbourne@gmail.com with ITS SNOWTIME in the title of your email, and tell us who you would like to take with you. Three winners will be selected on Friday 27 May, 2016 at 5pm AEST.